Friday 20 November: dwell on Kate Motaung's site. For FMF we write unedited for five minutes. As an artist-designer I've always loved drawing and decorating pictures of houses; forever I've loved photographing houses! In fact, about a week ago I began my latest intentional endeavor of taking pictures of the houses in my current neighborhood—most are generous spaces that date from the 1920s, with astonishing variety of color and architectural style. "Dwell" conveys a sense of settling down for a while, sinking into a deep cushion in a comfortable chair. Dwell is to stay a while, remain for the duration. There's a print magazine called Dwell, and also an online version of Dwell. 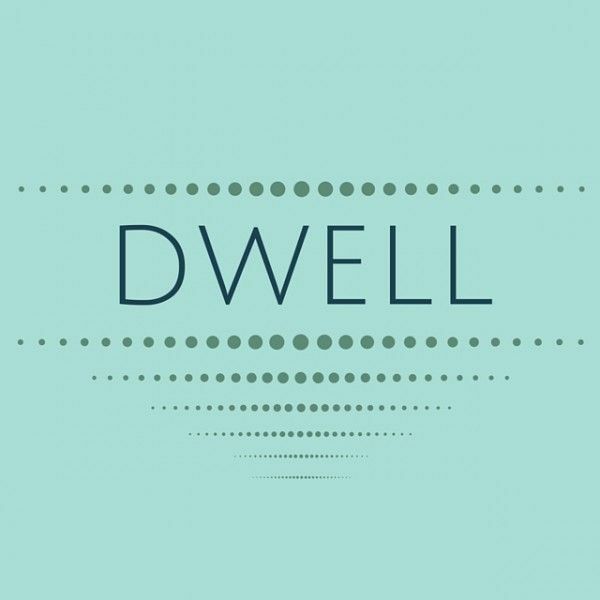 I suspect I started getting their email updates because I loved the word dwell and the idea to dwell. I've illustrated this post with one of my very first ever computer graphics from when I realized it was time to begin... digitizing my art and design. We had some assigned exercises and projects to develop in class, but we sometimes got to choose our own design direction. 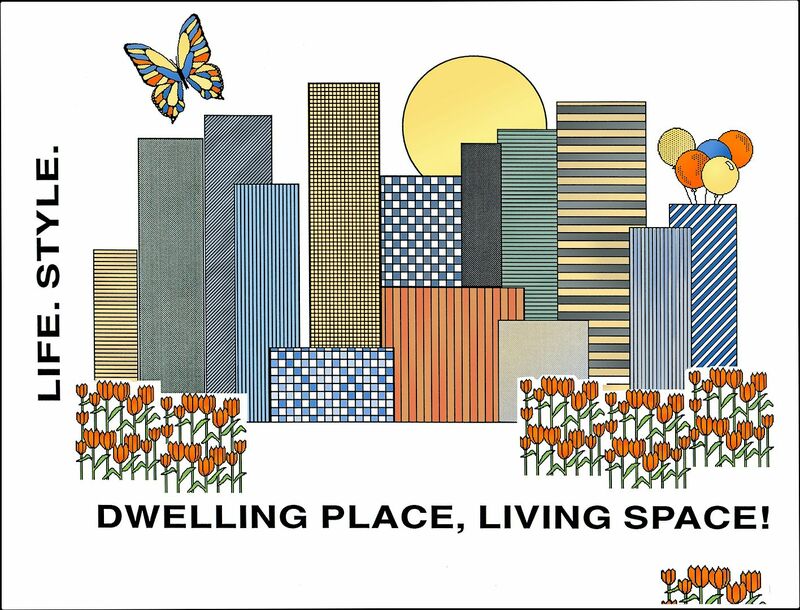 My intentionally urban Preservation Project blog is about dwelling places, living spaces. Houses, apartments, studios, offices, and studies where you can get comfortable, nestle and settle into a rhythm of creative work and play, where you can dwell long enough to become at home with your surroundings and yourself. Preservation Project is about Neighborhood revitalization, brownfield reclamation, storefront transformation, infrastructure rehabilitation... spaces and places for each of us, some of us, maybe all of us to dwell. A great word prompt for you. Love the graphics you shared.